Click here to DONATE to support the care of Casa Rae! Presenting the very cute and handsome Casa Rae - he is 3 years old, had only 6 starts and has no vices or limitations. He is a nice mover, lot of reach and has the potential to go any way you want - from jumpers to hunting to trail riding. He is an excellent opportunity if you are looking to acquire a young horse to bring along. Standing 16.1hh, he is still growing and will fill out. He has a fairly small bow to the right front which he sustained in his last race 3 months ago - it is not limiting in any way. He has been rehabbed and is on daily turnout. He is UTD on shots etc and ready to start back. On a scale of 1 to 5 with 1 being Calm and 5 being Spirited, Casa Rae is a 3.00. Where is Casa Rae located? Casa Rae is located at Breezy Meadows, 236A Waters Road, East Greenbush, NY 12061. 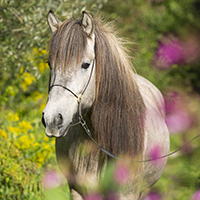 Horses are stalled for 13-16 hours per day, on average. * We have 2 types of contracts - younger sport horse prospects can be sold after 1 year of adoption if all terms are satisfactorily met. *Older war horse types or horses with know issues go with a lifetime contract and cannot be sold, only returned to Rerun due to the likelihood of them falling through the cracks. *Horses that are fan favorites and widely supported are not euthanized if there is the ability to keep them at sanctuary and they can enjoy a good quality of life. Public opinion demands that such horses are provided for once their careers have ended and it is part of the fulfillment of our mission statement. ReRun Thoroughbred Adoption pioneered the concept that when a Thoroughbreds racing days are over, they can successfully be retrained to pursue second careers in other forms of equitation while enjoying another 20+ years of companionship with their new adoptive families. Rerun was established in 1996 and is one of the oldest Thoroughbred programs in the US. Rerun is now the largest Thoroughbred adoption and rehoming program in New York and the North East and is both TAA accredited and GFAS Verified. In 2017, we accepted over 100 horses into the program with at least 60% of them having sustained some sort of injury requiring rehab services. 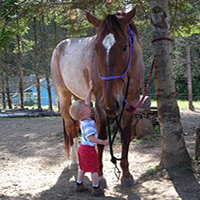 Horses are not turned away due to injury and we do not require a monetary donation to accept a horse into the program. 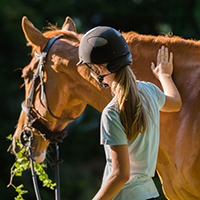 We operate the most successful Thoroughbred rehab and adoption program in New York and the Northeast. 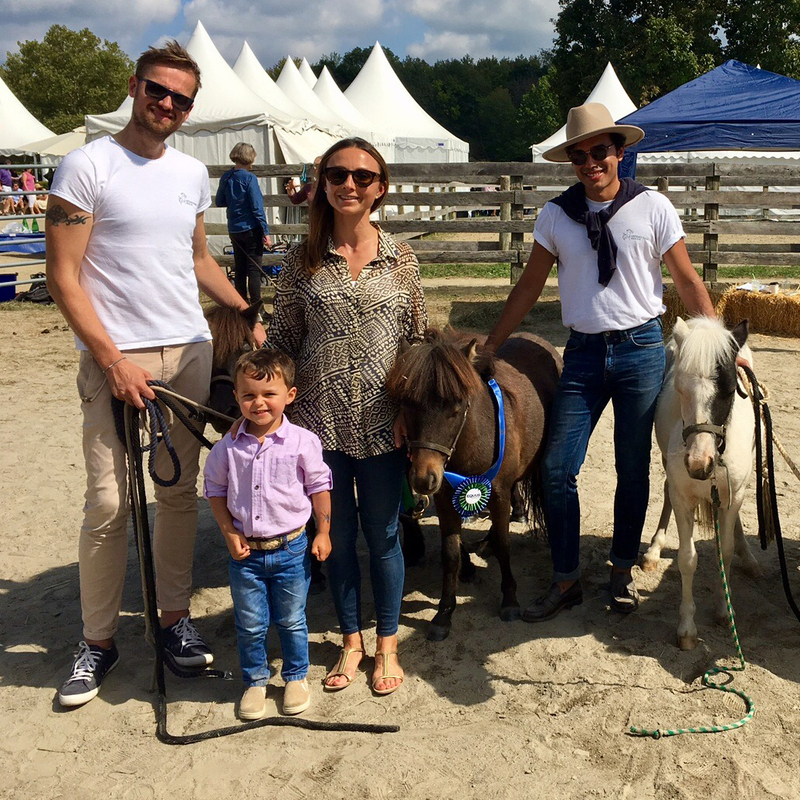 We frequently attend shows, events and give demos at symposiums in addition to welcoming 4H and Pony Club groups for tours and meet and greets with the horses. 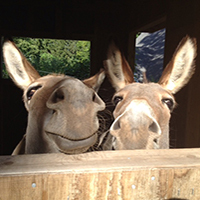 We recently were the recipients of 22 tons of feed. 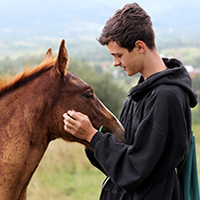 We arranged for it to be shipped and stored at our facility and then distributed it to more than 10 other local equine programs - many were not exclusively Thoroughbred programs. We have just received platinum status on Guidestar including metric tracking of adoptions, horses under our care, rehabs etc and all our financials are available there. We do accept colts and stallions and they are typically gelded within a week of arrival. We do not adopt out entire males. We have a month to month standard boarding contract with the farm for each individual horse which meets TAA requirements. We pay a fixed rate for pasture board which also includes hay and farrier, vet services and any additionals that the horses may require are billed separately. The premises were inspected last year on August 1st by the Thoroughbred Aftercare Alliance and was found to be compliant in their published standards. Our executive director also spot checks every 2 or 3 months. The TAA have already inspected the new facility and the amenities including new paddocks etc were found to be exceptional. We are one of the partner programs for NYTHA and this week were notified we have been GFAS Verified. Briefly describe the nature/level of the certification: Thoroughbred Racehorse Management - was done as a government funded block release - 6 weeks at work, 2 weeks at college for 2 years under top trainer JG Fitzgerald. Additional information about this instructor: 35 years of riding experience including 27 years as a paid employee/professional within the horse industry. Has worked for some of the top trainers in Europe and North America and was responsible for the care of such racing greats as Androma, 2 x winner of the Scottish Grand National and Lochsong - 2 x winner of Cartier Horse of the Year. Holds an HND in Thoroughbred Racehorse Management and related livestock along with BHS qualifications including assistant instructor.